select *, DATE_FORMAT(birthday, "%b %e, %Y") as _birthday, DATE_FORMAT(died, "%b %e, %Y") as _died, MONTH(birthday) as month_birth, DAY(birthday) as day_birth, DATE_FORMAT(birthday, "%b %e") as _birth_day_month from agatti_people where agatti_people.u_name = "gene-tierney"
Shares birthday with Clifton Webb, Richard Alexander, Erskine Sanford see more..
Actress, Gene Tierney, was born Gene Eliza Tierney on Nov 19, 1920 in Brooklyn, NY. Tierney died at the age of 71 on Nov 6, 1991 in Houston, TX and was laid to rest in Glenwood Cemetery in Houston, Harris County, TX. 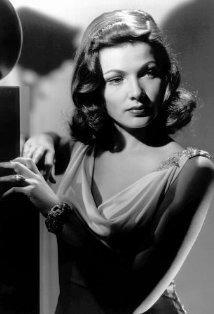 Gene Eliza Tierney was born on November 19th, 1920 in Brooklyn, New York as was the second of three children. She grew up surrounded by privilege and wealth as her father, Howard, was a successful insurance broker and her mother, Belle, worked as a physical education instruction. When she was five years old, Tierney and her family packed their bags and moved to Green's Farms Connecticut. Over the year, Howard Tierney would buy much of the lands surrounding property, creating a proper estate manner for his family. Little Gene would first receive her education at the all girls' St. Margaret's School in Waterbury before attending The Unquowa School, an independent school with a specialization in the arts. She then traveled aboard to Switzerland, where she attended the Brillantmont International School. She finished her high school education back in the United States at Miss Porter's School in Farmington, Connecticut. After graduating fro High School in 1938, Tierney, along with her mother and siblings, went on vacation to Hollywood. Through a family friend, the Tierney's were able to visit the set of The Private Lives of Elizabeth and Essex during principle shooting. As legend goes, while on set the director Antole Litvak notices Tierney and said she should be in movies. A screen test was scheduled the next day and soon after the young Tierney was offered a studio contract with Warner Brothers. Her parents, however, balked at the offer due to its low salary and Tierney returned to the east coast. The wealthy debutante then made her society debut on September 24th, 1938. Soon, however, the 17 year old quickly became bored with the life of high society and began attend an acting studio in New York City's Greenwich Village. She then became the protÃ©gÃ©e of highly respected director/producer George Abbott. 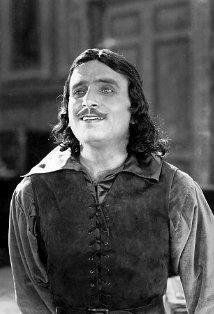 He then gave Tierney her stage debut with a walk-on role in his 1938 production What a Life. She was then awarded the role as lead understudy in Primrose Path. In 1939 Tierney made her Broadway debut as Molly O'Day in the George Abbott staged play Mrs. O'Brien's Entertains. Despite her small role, she received a positive review from The New York Times. Later that year, she once again was well reviewed, this time for her role as Peggy Carr in Ring Two. Now seeing the potential in her daughter career, Tierney's father developed a corporation, Belle-Teir, for the purpose of funding and promoting her acting career. 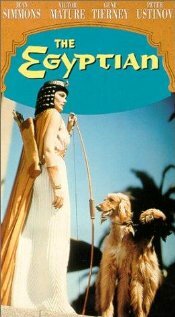 Soon after, she was signed to Columbia pictures. She was initially promised the role in National Velvet but soon the project became delayed. After Columbia failed to garner Tierney any roles, she returned to the Broadway stage, starring as Patricia Stanley in The Male Animal. Her performance was met with rave reviews and was considered a great success both critically and commercially. After seeing her grand performance in The Male Animal, 20th Century Fox studio head Darryl F. Zanuck, took interest in Tierney. 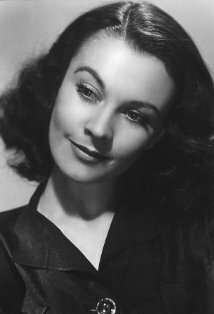 In 1940 he signed her long-term contract and was immediate put the eager young actress to work, making her debut with a supporting role in The Return of Frank James with Henry Fonda. 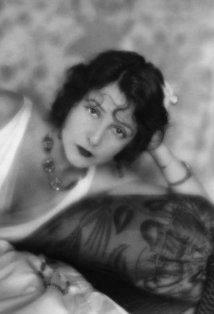 The next year Tierney demonstrated her acting range by appearing in four films of differing genres: Hudson's Bay, Tobacco Road, Belle Starr and Sundown. During the filming of Belle Starr, Tierney learned of her parents disintegrating marriage and began to suffer from anxiety-related gastrointestinal ailments, delaying the films production. She then ran off with Edith Head's assistant, Oleg Cassini, to Las Vegas and eloped in a civil ceremony, much to her parents and the studios disappointment. She also soon discovered her father's company, Belle-Tier, was siphoning some of her Hollywood earnings. Despite her hectic personal life, Tierney's career in Hollywood was blossoming. 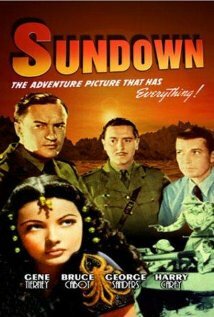 In 1942 she appeared opposite Tyrone Power in the James Cromwell action/adventure flick Son of Fury: The Story of Benjamin Blake. 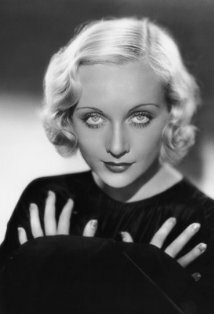 She appeared in three more pictures that year: Rings on Her Finger, Thunder Birds, and China Girl. 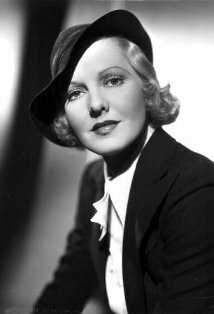 The next year she received top billing for her role as Martha Strable Van Cleve in the Ernst Lubitsch Technicolor comedy Heaven Can Wait. During this time Tierney became pregnant with her first child. What should have been a triumphant moment in her life became a tragedy. While pregnant Tierney contracted rubella while entertaining at the Hollywood Canteen. This disease caused her to go into labor for her daughter, Antoinette Daria, two-months early, thus causing severe mental retardation in the child, which would lead to lifetime in mental health institutions. In 1944 Tierney played the titular role in Otto Preminger's Laura, acting as murdered victim whose beautiful portrait haunts detective Dana Andrews to the point of obsession. 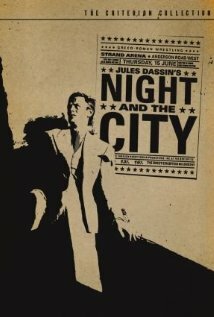 The film was a hit both financially and critically, gaining five Academy Award nominations including Best Screenplay, Best Supporting Actor, Best Director and a win for Best Cinematography, Black-and-White. The film also demonstrated Tierney's ability to act in the darker genre of film-noir and opened her career up to new possibilities. 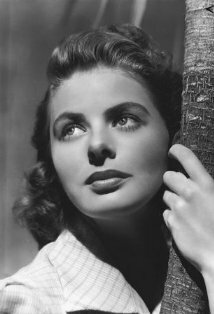 She was then cast as the femme fatale, this time in the 1945 Jon M. Stahl's noir-thriller Leave Her to Heaven. In the film she plays Ellen Berent, a young socialite who falls in-love with novelist Richard Harland. Her affections quickly turn obsessive, resenting anyone who tries to enter Richard's life, romantically or otherwise. In one of the film most chilling moments, Ellen coldly and mercilessly watches a disabled teenagers boy drowned to maintain her emotional strangle hold Richard. The film was massive success, becoming Fox's biggest moneymaker of the decade as well as a critical darling. The film would go on receive four Academy ward nominations, including one Best Actress for Gene Tierney. By the mid-1940s Tierney was now one of Hollywood top A-list stars. In 1946 she starred opposite Tyrone Power in another noir-thriller, this time as the spoiled rich girl Isabel Bradley in Edmund Goulding's The Razor's Edge. The next year she took a break from film-noirs to star in the dramatic fantasy-flick, The Ghost and Mrs. Muir. In the film, Tierney plays widowed, single mother who develops feelings for sea captain Daniel Gregg (Rex Harrington), who happens to be a ghost. The following year Tierney rejoined Tyrone Power on the big screen for screwball comedy The Wonderful Urge. By the end of the decade, she once again reteamed with director Otto Preminger for the noirs Whirlpool and Where the Sidewalk Ends, also starring Dana Andrews. She was then loaned to Paramount Studios to star in the screwball comedy The Mating Season with John Lund and Thelma Ritter. Although at the peak of stardom, by the early 1950's Tierney's mental and emotional health issues began to take their toll on the actress. Due to long time familial problems, coupled with a daughter born with severe mental disabilities, for which she blamed herself, Tierney had long struggled with depression. 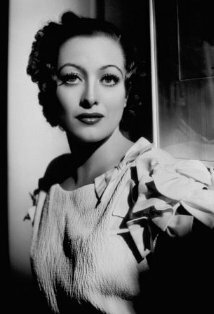 She also suffered from an undiagnosed bipolar disorder that began disrupting her work and, thus, was forced to dismiss herself from John Ford's 1953 remake of Mogambo. During the filming of 1955's The Left Hand of God, co-star Humphrey Bogart urged Tierney to seek professional helping, having experienced the horrors of untreated mental health with his sister. Tierney was then admitted to The Institute of Living in Hartford, Connecticut where she underwent over 25 shock therapy treatments for severe depression. Soon after she left the institute but having not been legal discharge, was caught and brought back to the facility. She later became an opponent of shock treatment, and claimed to having suffered unalterable memory loss due to the method. Her health struggles only continued when, in 1957, she stood at the edge of a 14-story building for over 20 minutes, contemplating suicide. She was once again admitted to the Menninger Clinic for depression. When released, Tierney avoided Hollywood and instead worked a local clothing store to slowly reintegrate self into society. However, she was quickly recognized and soon the press was all over the situation, once again placing Tierney is the spotlight but for all the wrong reasons. After the press used her personal life for their tawdry headlines, Tierney decided to stage a small comeback. In 1960 she returned to the screen after a five-year hiatus, this time making her television debut in the popular series General Electric Theater. 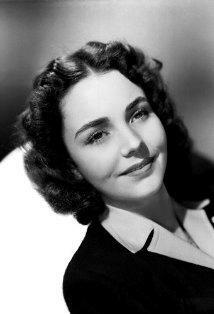 Two years later she returned to the big screen with a supporting role in Otto Preminger's Advise and Consent. 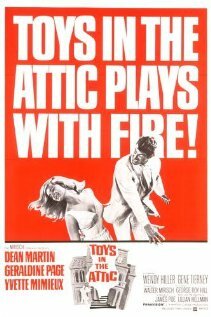 She then played Dean Martin's mother-in-law in the big screen adaption of Lillian Hellman's Toys in the Attic. In 1964 Tierney would make her final silver screen appearance in the musical comedy The Pleasure Seekers starring Ann-Margret. She then laid low for a while, before returning to the small screen in 1969 with guest starring roles in the T.V series' The F.B.I. and Daughter of the Mind. Throughout the 1970s Tierney remained away from the screen. She began writing her memoirs, Self-Portrait, which was published in 1979. In the book she candidly detailed her childhood memories, years abroad, career as well as her horrific decent into mental illness. In 1980 she played the lesbian magazine publisher Harriet Toppingham on mini-series Scruples. It would be final screen appearance. In 1986, in the twilight of her life, she and Gregory Peck received the first Donostia Lifetime Achievement Award at the San Sebastian Film Festival in Spain. She then spent the rest of her life in quiet retirement. Gene Tierney Died on November 6th, 1991 in Houston, Texas. She was 70 years old. Although Tierney was nominated for one Oscar, she never won a competitive Academy Award. She was honored with one star on the Hollywood Walk of Fame in the category of Motion Pictures. Gene Tierney's handprints and footprints were 'set in stone' at Grauman's Chinese Theater during imprint ceremony #74 on Jan 24, 1946. Peter Stackhouse: I hope you're not angry? Kay Saunders: That you were interested in my legs? Why not at all. That's what they're there for. Lucy Muir: Sometimes you can be much more alone with other people than you are by yourself. I suppose that sounds all mixed up, doesn't it? Russell Quinton: I loved you. And I'm still in love with you. Ellen Berent Harland: That's a tribute. Russell Quinton: And I always will be. Remember that. Ellen Berent Harland: Russ, is that a threat? Her first daughter was born mentally retarded because Gene had contracted rubella (aka German measles) during her only appearance at the Hollywood Canteen. This served as the uncredited inspiration for the plot of the 1962 Agatha Christie novel and later movie The Mirror Crack'd (1980). Discovered she was expecting daughter Daria while filming Heaven Can Wait (1943). Began filming Laura (1944), after returning from her maternity leave. Was offered the role of Linda Nordley in Mogambo (1953), but was forced to turn it down due to pregnancy. 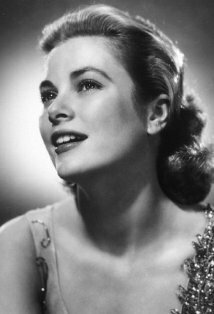 Grace Kelly, who went on to receive a Best Supporting Actress Oscar nomination for her performance, was cast instead.